Felica Day’s 3D Printed Dress « Adafruit Industries – Makers, hackers, artists, designers and engineers! 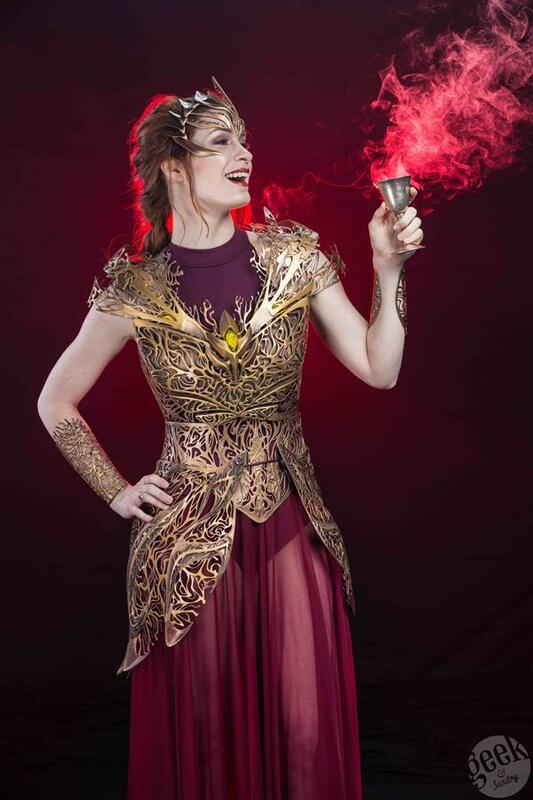 Get ready to feast your eyes and your creative soul: the Geek and Sundry fantasy photo shoot revealing actress and gamer Felicia Day modeling her own original, 3D printed cosplay armor designed by Melissa Ng has finally been released! We previously wrote about the 200+ hour creative design process that led to Ng designing and creating the stunning 3D printed Dream Regalia Armor, a custom-fitted, intricately detailed body suit, sponsored and flawlessly 3D printed by Shapeways 3D Printing Services.